About: Nestling in the sleepy hamlet of North Whilborough, a few miles inland from Torquay, Long Barn Cottages are in a perfect location for self catering holidays in South Devon. 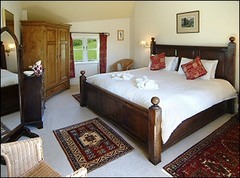 Surrounded by a wide expanse of countryside with lovely views, you will soon begin to unwind and relax! 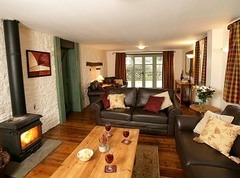 Our holiday cottages are all graded 5 Stars. Each has its own private garden or terrace and all four share the use of a superb heated indoor swimming pool and games area. With the beaches of the English Riviera and South Hams, Dartmoor and tourist attractions too numerous to mention, all within easy reach, you will never be short of things to do! The nearest shops are 1.5 miles away and the nearest pub just half a mile. 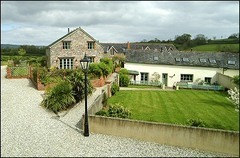 Golf is available within 2 miles and there is horse riding on Dartmoor. There are an abundance of pubs and restaurants in the area and we are happy to help and give advice if required. 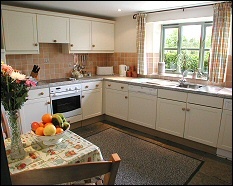 Products or Services: Luxury Self Catering Cottages offering Holidayas, Short Breaks and Special Offers. Facilities Include: fully fitted kitchen with electric double oven, washing machine, tumble dryer and gas boiler for heating and hot water. Lounge with TV and DVD player. Cots and high chairs available on request. Linen Provided. Garden furniture and barbecues. Superb indoor heated swimming pool (10m x 5m x 1-1.5m depth / 29-30C water temperature). Indoor children's play area with two-storey Wendy house, pool table, table tennis and table football. 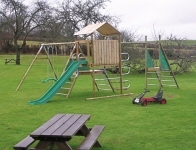 Outdoor adventure play area.